On the way home from the locr offices, we pass the Braunschweig Christmas Market. The market’s lights are beautiful, and they always remind us that the holidays are here and that the year is coming to a close. This has been quite a year of growth for locr. In January, two of us exhibited at the PODi AppForum in Las Vegas, Nevada. This was our first AppForum, and it marked the start of our expansion into the US. Now, eleven months later, we have successfully expanded our operations in the US and the UK, hired a talented group of people, attended conferences and events all over the world, and developed a new website to better inform our customers and prospects. We’ve also expanded the reach of our technology through partnerships with a range of leading industry partners, including HP, Kodak, XMPie, GMC, and Direct Smile. Most importantly, we enhanced the work of print and marketing service providers around the world with our maps and geolocation services. 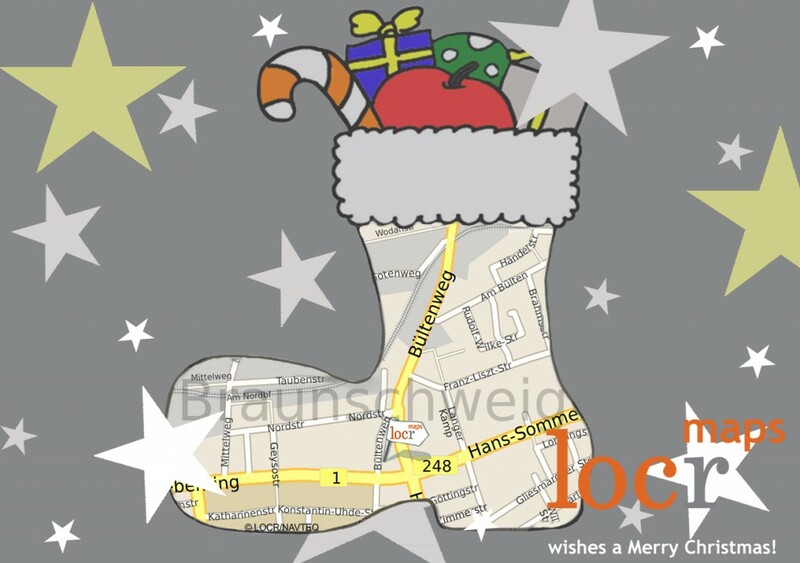 We are grateful to locr’s customers and business partners who have made this year such a success for our company. As we look to the New Year, all of us at locr remain committed to providing you with the best geolocation and personalized map technology. We wish you all a very happy holiday season and all the best in the New Year.